​Dr. M. George Ayad of Periodontal & Implant Solutions located in Hackensack, New Jersey has been recognized for two consecutive years as Best Periodontist in BERGEN Magazine. Dr. Ayad who has been in practice for over 20 years and the most recent President of Bergen County Dental Society was honored to be recognized by his Peers. “I am deeply pleased and honored to have received this recognition,” said Dr. Ayad. BERGEN Magazine Professional Research Services conducted its annual “Bergen County’s Top Dentists” list. All final honorees were fact-checked with the State of New Jersey and the New Jersey Division of Consumer Affairs License Verification System. 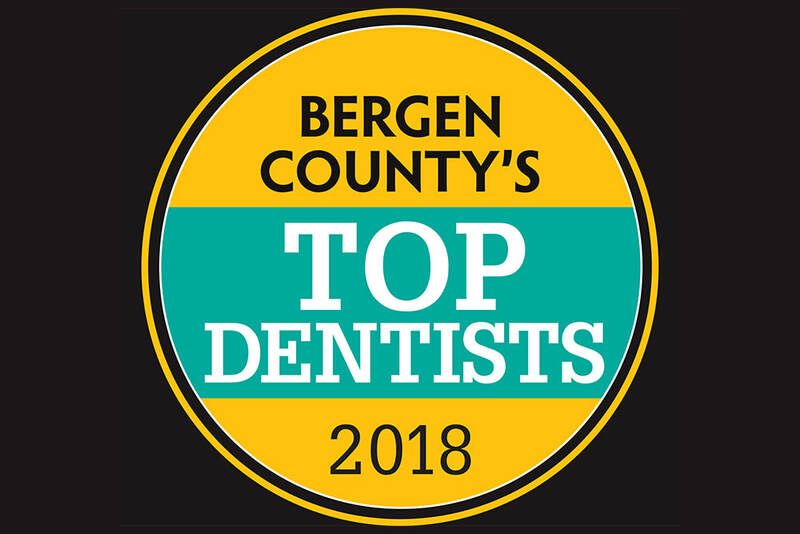 The highest vote getters within each specialty who are in good standing with the state are included in the annual “Bergen County’s Top Dentists” list.! All attendees will receive a Sonicare Brush! The current and sometimes shocking health behaviors and trends in the teen generation can influence their oral and systemic health. Dental professionals have a clinical opportunity to identify risky behaviors. Encouraging Gen Z to make positive health decisions could impact their choices when challenged. Participants may engage in a discussion on timely topics relating to Gen Z. Dialogue may include oral and overall health issues associated with nutrition, obesity and substance abuse. Recognizing high risk behaviors will prepare the dental professional to initiate dialogue that may impact a teen for a lifetime. As co-therapists in multidisciplinary treatment, dental professionals have the opportunity to play a significant role in changing the path of an individual’s life. Routine screenings are a vitally important component to any comprehensive treatment plan. Optimal patient care has expanded to include screenings we have not considered in the past. Screening for Sleep Disordered Breathing is no exception. The dental professional is in a position to provide many of these screenings. Emerging research on Sleep Disordered Breathing (SDB) and the far-reaching health effects for an individual, underscores the need to elevate our knowledge and embrace the value of our role in early discovery. Sleep Disordered Breathing is a global issue that knows no boundaries, be it socioeconomics, gender, race or age. This course will assist the dental professional in developing the fundamental knowledge for Sleep Disordered Breathing to confidently screen, discuss, refer and help manage the SDB patient(s). Gum disease, also known as periodontal disease, is an infection of the gums surrounding your teeth that is found more often in men (56.4%) than women (38.4%). The difference may be due to a number of factors, including a higher incidence of dental plaque, tartar, and bleeding on probing for males. Periodontal health is not only important for your teeth and gums, it also has a profound impact on a variety of other health factors. M. George Ayad, D.D.S, Ph.D., specializes in dental implants, regenerative and resective periodontal surgery, cosmetic periodontal surgery, gum tissue grafts, and laser periodontal surgery. Dr. Ayad expressed, “Educating my patients on the benefits of healthy gums is an important part of my practice philosophy.” Through education, Dr. Ayad supports overall health and prevents gum disease. Poor periodontal health puts males in greater risk of heart disease, impotence, an unhealthy prostate, and cancer. Researchers believe that the connection between gum inflammation and cardiovascular inflammation may indicate that periodontal disease can actually increase your risk of cardiovascular disease. Due to the fact that men are more likely than women to develop heart disease, maintaining periodontal health is an important way to reduce this risk. Another risk of increased inflammation is impotence, particularly for men younger than 30 and older than 70. The damage caused to blood vessel due to prolonged chronic inflammation may lead to impotence. Additionally, men with indicators of periodontal disease such as red, swollen or tender gums as well as prostatitis have higher levels of prostate-specific antigen (PSA), an enzyme normally only secreted in very small amounts, than men with only one of the conditions. This demonstrates the potential association of poor prostate health to periodontal disease. Aside from the dangers of increased inflammation, research has found that men with a history of gum disease are 14 percent more likely to develop cancer than men with healthy gums. Specifically, men with periodontal disease may be 49 percent more likely than women to develop kidney cancer, 54 percent more likely to develop pancreatic cancer, and 30 percent more likely to develop blood cancers. However, the risks are not exclusive to men. Poor periodontal health may also be linked to osteoporosis and respiratory disease. Dr. Ayad wants men and women alike to know that early diagnosis is important for overall health beyond the teeth and gums, which is why it is important that every adult receive a comprehensive periodontal examination as part of their routine dental visits. Periodontal and Implant Solutions, LLC is committed to offering clients high standards, education and prevention, uncompromising safety, and training and expertise that result in a positive experience. Dr. Ayad looks forward to serving patients at his new location. ​We often think of gum disease as a condition exclusive to adults, but this is not true. Gum disease, also known as periodontal disease, is an infection of the gums surrounding your teeth that can affect both children and adults. It is also virtually pain free, which is why many patients do not know they have the disease. There are four basic signs that will alert you to periodontal disease in your child which include bleeding gums, puffiness, recession and bad breath that does not clear up with brushing and flossing. Dr. Ayad wants parents to know that early diagnosis is important for successful treatment of periodontal diseases, which is why it is important that children receive a comprehensive periodontal examination as part of their routine dental visits. The most important preventive step against periodontal disease is to establish good oral health habits with your child with these basic preventive steps: establish good dental hygiene habits early (starting when your child is 12 months old), serve as a good role model, schedule regular dental visits, and check your child’s mouth for the signs of periodontal disease.